Hypro-Sorb Z is a pure, sterile, native, 99.9% crystalline, resorbable, bovine atelocollagen that is used in dentistry to stop bleeding from teeth extraction. It is marketed in the form of inserts that have the shape of tooth roots and thus are easy to apply. 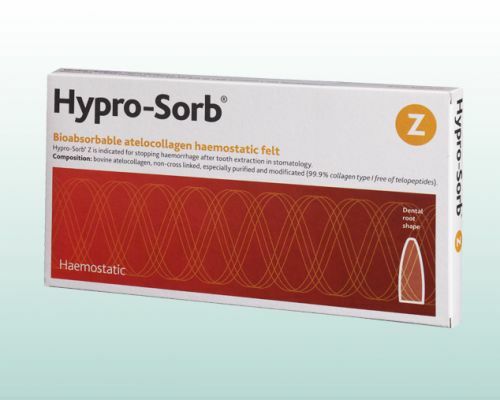 Hemostasis is achieved quickly and reliably with Hypro-Sorb Z because atelocollagen is the most efficient hemostatic known.